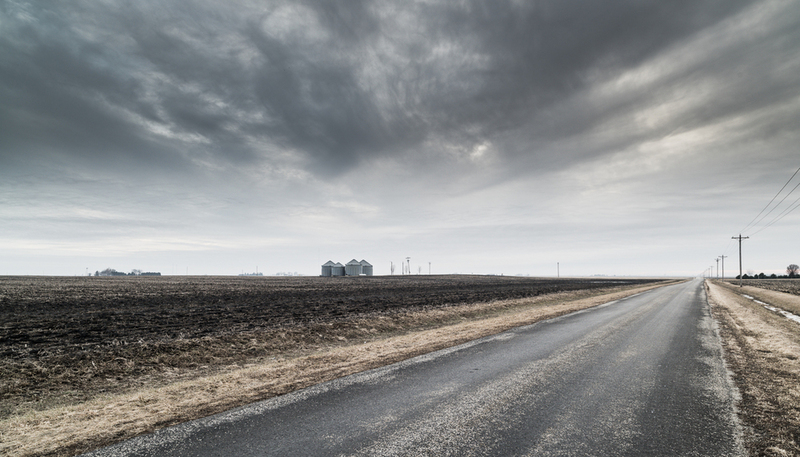 The Midwestern farmlands of Illinois, Indiana, and Iowa, are vast spaces. The land, ground flat by glaciers, allows one to gaze for miles and miles just a few feet above the ground. People and homes are separated by great distances, both physical and emotional I have been investigating these farmscapes in the winter, with their crops gone, the soil bared, and with a ceiling of sullen cloud-drift above.